The online registration process for UPPSC PCS exam 2018 will begin from 6th July. Check out more details. 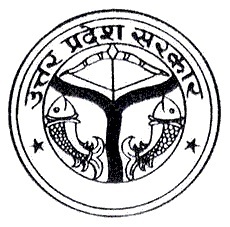 05 July 2018: The Uttar Pradesh Public Service Commission (UPPSC) will be starting the online registration process for the Provincial Civil Services (PCS) examination 2018 from 6th July on the official website. The examination is also known as Combined State Upper Subordinate Exams 2018. An abridged advertisement has been uploaded on the official website in this regard, and the detailed advertisement will be available from 6th July 2018. How to Register for UPPSC PCS exam 2018? You can take out a print of the completed application form. It is reported that the commission has also made amendments in the website to simplify the submission process. The detailed eligibility criteria will be released on 06th July in the official notification. For now, the only age limit has been provided. Candidates must not be born earlier than 2nd July 1978 and not later than 1st July 1997. Details on reservation/relaxation will be available in the official notification. The exam will be conducted for 831 vacancies. This year, 119 Sub Divisional Magistrates and approximately 100 Deputy Superintendents of Police (DSPs) would be recruited through the exam. The commission has added the Assistant Conservator of Forest (ASF) exam in the PCS exam for the first time. However, only the preliminary stage of ASF will be conducted with PCS. Main and Interview will be conducted separately.